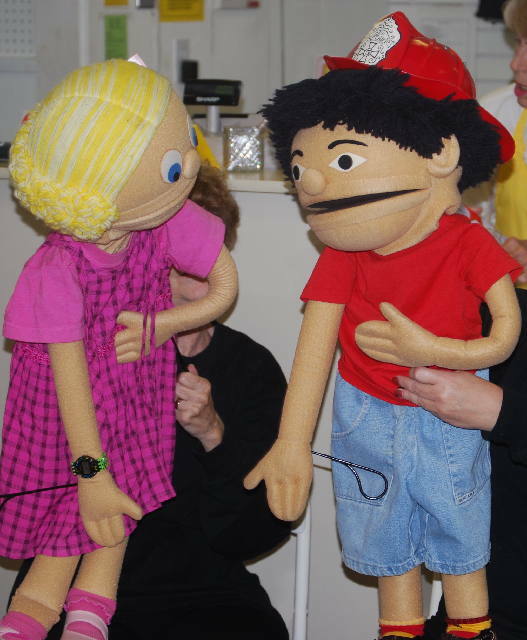 Puppeteers use scripts, props and child-size puppets to perform for elementary school children. The scripts focus on personal safety and bullying, and the performances can be coordinated with the schools’ other approaches to these topics. Personal Safety provides an introduction to kindergarten children about fire safety measures and crucial safety information such as knowing emergency telephone numbers, knowing your own number and area code, and avoiding strangers. Bullying “Rescue and Report” addresses ways that first- and second-grade children who witness teasing or bullying can solve the problem. Bullying “You’re Not the Boss of Me” helps third- and fourth-grade children deal with bullying situations and suggests ways that children being bullied can handle the problem.